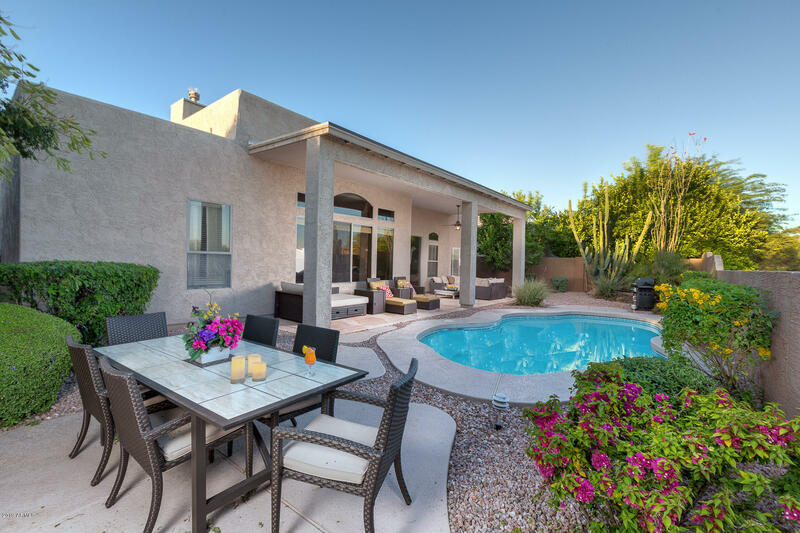 This gated home captivates the senses with soft custom colors & views of mountains, city lights & stunning sunsets! 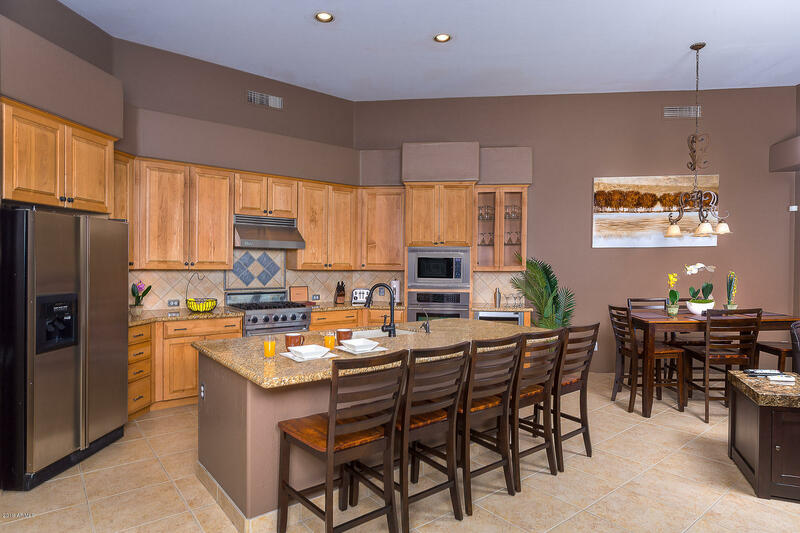 True chef's kitchen includes double ovens, Viking professional stove, Bosch d/w, wine cooler & custom cabinetry w/ granite counters. 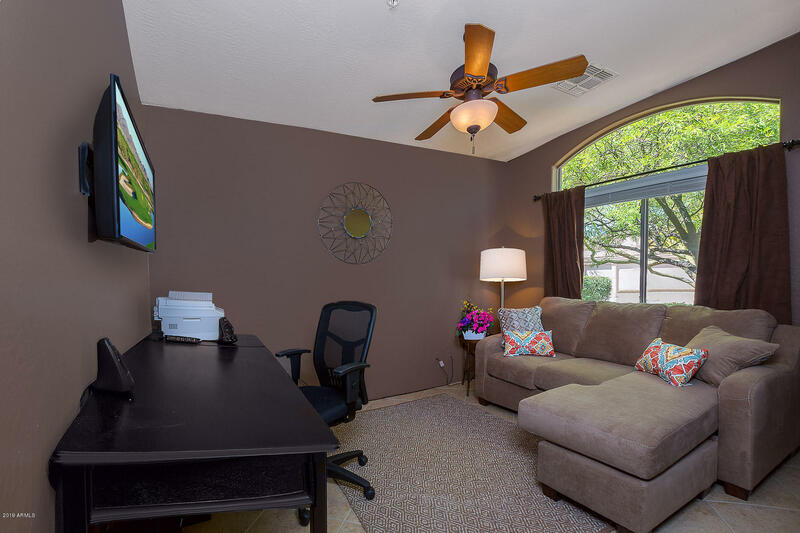 Kitchen is open to entertaining family room w/ built in A/V center. 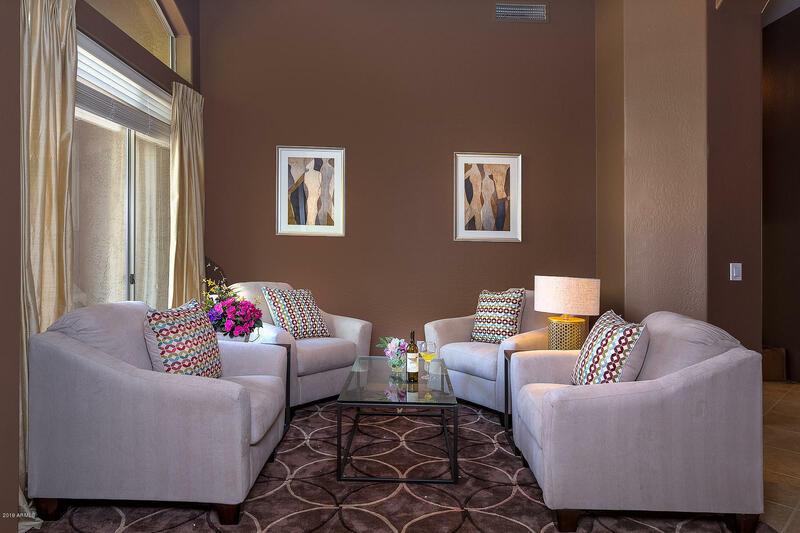 Flexible rooms can be office/media/den w/formal living or dining room. 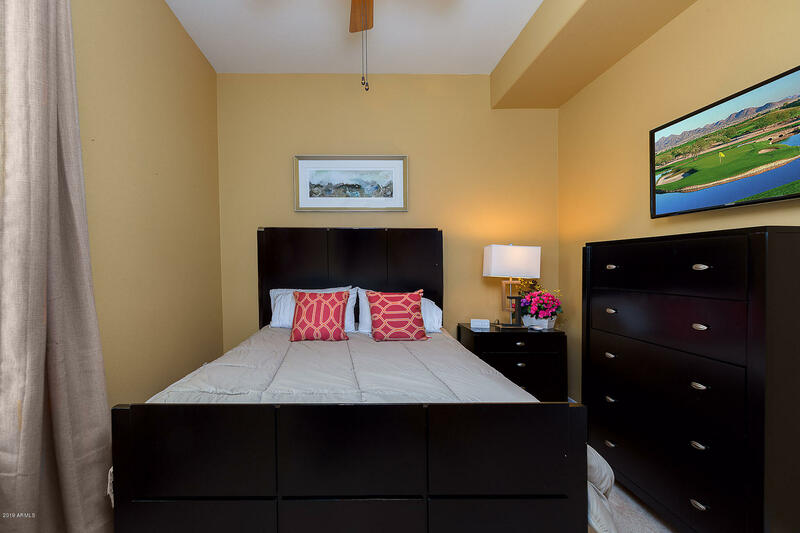 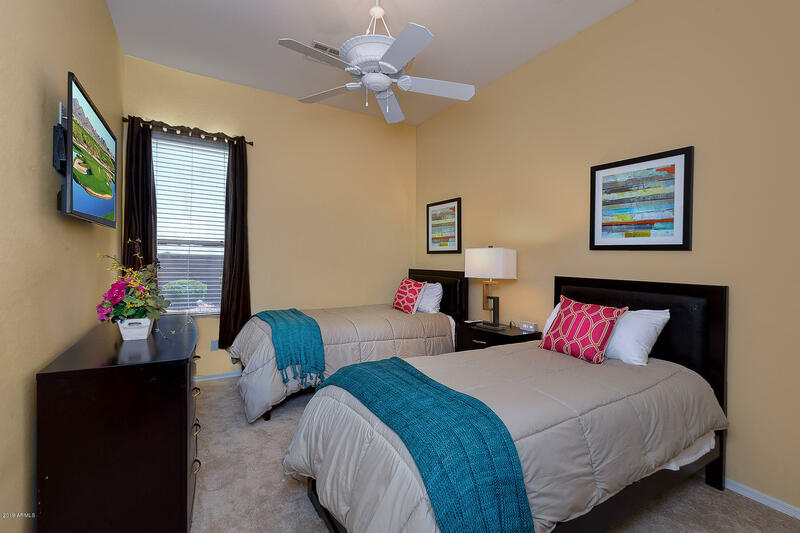 Expansive master suite w/ room for exercise equipment or sitting area. 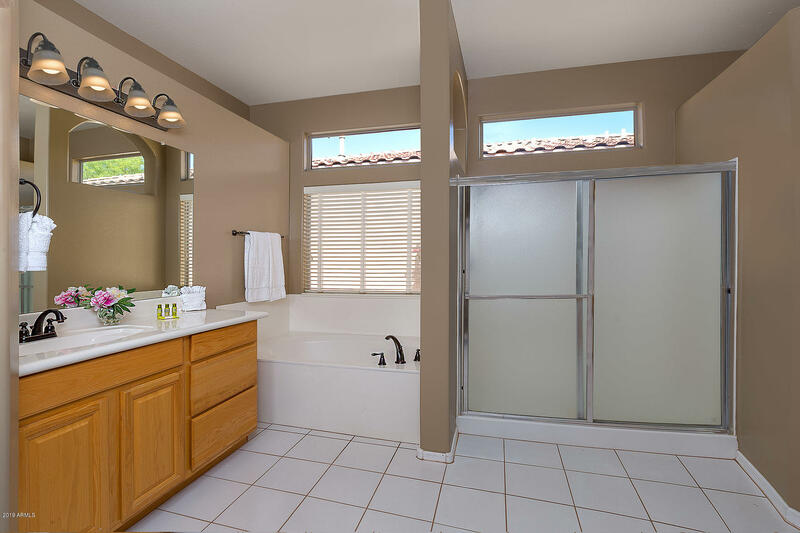 Master bath offers his/hers separate vanities & walk-in closet w/ b/i organizers. 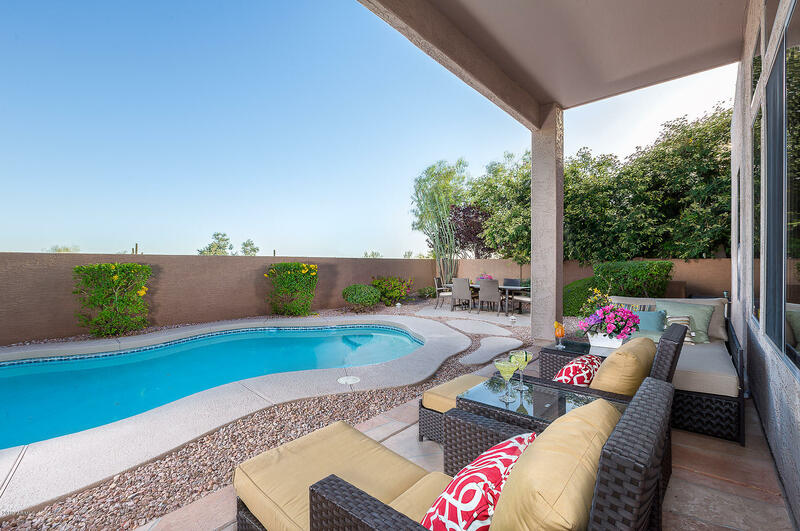 The Crown Jewel of this home is a backyard haven & dynamic views of valley with no homes behind, welcome home.